Lauren learned early in her career that she thrives in the controlled chaos of ensuring all of the pieces are put in place to get the deal done. Lauren has more than a decade of experience as a dealmaker, and is known for her creative problem solving and practical approach to addressing and resolving complex issues and hurdles encountered in corporate transactions. Lauren has extensive experience in many different types of deals, including mergers and acquisitions with both strategic and financial buyers, joint ventures, corporate formation and restructurings, outsourcing agreements, several types of commercial contracts, and various other complex commercial transactions. 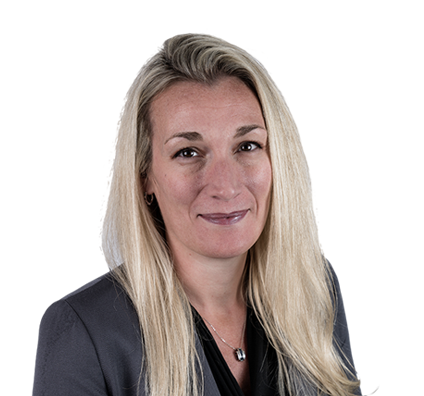 Lauren also acts as outside general counsel for various businesses and advises on the legal issues that they encounter in day-to-day operations. Throughout her career, Lauren and her deal teams have helped clients in a wide variety of industries develop winning financial roadmaps. She regularly negotiates on behalf of and with private equity groups, Fortune 500 companies, high-profile acquirers and major financial institutions. Lauren collaborates with her clients’ internal and external advisors, and–when appropriate–assembles deal teams with various professionals to provide clients with the best advice and options available in the most efficient manner possible. To do this, Lauren taps into her extensive network of various experts, including non-corporate specialty practice area attorneys, tax professionals, investment bankers and other business advisors. Prior to joining Husch Blackwell, Lauren spent the majority of her career at an AmLaw Top 5 firm in Chicago advising clients in high-stakes corporate restructurings, and upon her return to Southwest Missouri, managed her own firm where she provided outside general counsel services to a variety of companies. The experience gave her a thorough understanding of business concerns—and of how legal counsel can support them. Lauren adds value by proactively identifying risks and working with clients to address them, while maintaining the client’s business and financial goals and objectives as her top priority. Represented successful start-up internet company in its sale to New York private equity group. Managed deal team that advised West Star Aviation in acquisition of FAA Part 145 repair station. Represented seller of chemical distribution company in sale of its business to strategic acquirer. Co-managed deal team that orchestrated acquisition of bottles and plastics distributor for approximately $150 million. Advised seller of multi-state metal refinishing company in sale of business. Represented not-for-profit client in sale of its camp management software to private equity group. Advised group of veterinarians in sale of their practice to private equity group. Co-managed deal team that advised publicly traded company on purchase of elevator manufacturing company. Represented purchaser in acquisition of restoration company. Represented two executives and minority equity holders throughout sale of their employer to private equity group. Managed deal team that orchestrated acquisition of telecommunications company by DISH Network Corporation at purchase price of approximately $1.4 billion. Negotiated on behalf of American Airlines in complex transaction involving acquisition of 47 Boeing 787 aircraft, deferral of delivery of 40 Boeing 737 MAX aircraft, cancellation of previous order for 22 Airbus aircraft, and comprehensive long-term engine maintenance agreement. Represented AMC Theatres in investment in virtual reality technology. Represented manufacturing company in internal corporate restructuring and refinancing in advance of implementing employee stock ownership plan. Regularly advising private equity groups on various matters relating to their portfolio companies. Regularly creating form contracts for several clients across wide variety of industries. Representing client American Airlines in its charter contract negotiations with Major League Baseball and National Football League teams, collegiate sports teams and others. Representing client American Airlines in its negotiations for both its air service and cargo agreements. Advised another Fortune 100 client in divesture of certain business assets and lines for approximately $100 million. Counseled national provider of information technology and data center services in its customer agreement negotiations. Negotiated and documented essential supply agreements with eight top movie studios, including Universal, Paramount and Lionsgate. Managed internal corporate restructuring of several Anheuser-Busch companies. Managed internal restructuring of company's intercompany agreements for client Casey's General Stores Inc. Represented publicly traded real estate development company in negotiations involving four multi-million dollar joint ventures involving single-family real estate developments outsourcing. Represented publicly traded client in a multi-million dollar long-term contract outsourcing its IT functions to a third party.